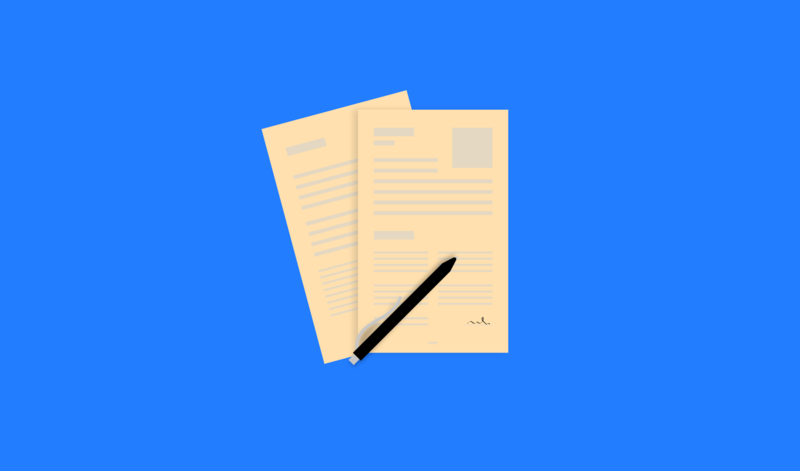 Cover letters act as the spare tire to your CV. Resumes list your skills and experiences whereas the letter offers you the opportunity to elaborate on them, providing recruiter a glimpse of your sparkling personality. Surprisingly, many risk it by just sending out a CV. However, 53% of employers prefer a candidate who submits a cover letter. The only problem is, you want to make sure you’re using the letter to its full potential and to your advantage. It’s so easy to waffle on about how well suited you are for this job and how long you’ve dreamed of applying - this is to be avoided. If you're worried that your cover letter is rapidly becoming something like this then check out this list of things you should miss out on. The first thing to do is do a little digging to find out exactly what the company stands for. Have a little snoop around their site and the content should be easy to find. They could be quotes from the team or short statements peppered around the page, but they will ultimately indicate what the working environment is like. Having this info will be great, as you’ll know how to set the appropriate tone of your letter, particularly if their values are based on: being a team player, having integrity and creating innovative ideas. However (!) be sure to avoid using these words directly, some recruiters can get switched off when they're bombarded with buzzwords. Try to show how you uphold these values by referencing past experiences where you have demonstrated these, and you'll be sure to stand out from the stack! One mistake we’ve all made is making the first draft of our cover letter all about ourselves: past experiences, our passions and skills. Remember that your CV is jam-packed with all your qualifications, this letter is simply an introduction to yourself and your qualifications. Most importantly, the letter is addressed to your prospective employer so you must always keep them in your mind as you’re writing. Your cover letter should highlight the most important parts of your resume with links to the job description, when possible. Avoid non-relevant and personal information that doesn’t relate to a role in order to further boost your chances. We've had it hammered into us throughout our education: proof-read, proof-read, proof-read! And it's true, there's nothing more frustrating than submitting a piece of work before realizing it's riddled with errors. Grammatically sound cover letters are crucial. Otherwise, you will have instantly proved your lack of attention to detail. To take it to the extreme: forgetting the organization's name or misspelling a manager's name could be a deal-breaker. Chaz Pitts-Kyser, Career Writer and Author of Careeranista states: "Nothing will get your cover letter thrown in the recycling bin faster than giving the wrong company name"
Take some time to triple-check your work and keep tweaking it until it's perfected. Print it out and edit thoroughly and even re-visit it a couple of times before sending it off. This is a major no-no! You may feel like you're saving time altering names of companies and hiring managers but it could seriously jeopardize your chances of landing a job. Recruiters are able to quickly detect a stock cover letter: generic phrases and no specificity of the company or role. Instead, refer to the job by its title and description, and explain how your skills could benefit the specific company. You need to sell yourself and provide examples of how you could be an asset to them personally, so it's best to show precision and draw on past experiences. There's always time to discuss salaries with your potential employers, just make sure you don't do it in your letter! You don't want to look like you're keen for a position just because of the money. The only loophole is, as Lisa Benson, president and CEO of Mary Kraft Staffing & HR Solutions advises, "they are specifically asked to do so, particularly if there is a disparity between what is advertised or indicated in the ad they are responding to." But it's best to play it safe and just focus producing a good quality letter. Ultimately, a good job seeker will ensure that their cover letter shows good research, keeps focused and is succinct. Best of luck! Francesca Hooper writes for Inspiring Interns, which specializes in sourcing candidates for internships and graduate jobs.